Summing up 22 years of running experience so that you can find the right shoe in much less time! Running became a standard fixture in my life in 9th grade…1995, and it’s been my companion, stabilizer, necessary discipline, and joy ever since, inextricably linked to who I am today. “And since my entire persona is influenced by my running program, I must remain constantly in training. Otherwise, the sedentary life will inexorably reduce my mental and emotional well-being. So, I run each day to preserve the self I attained the day before. And coupled with this is the desire to secure the self yet to be. There can be no let up. If I do not run, I will eventually lose all I have gained-and my future with it." Along the journey I’ve learned some things the hard way (some of those being truths that wise coaches tried to tell me the easy way), and my shoe needs and preferences have shifted in the process, as has my running, itself. Stability shoes are something I happened upon by good marketing and comfort, moved away from after college to test something new, and learned a lot more about this past year when trying out the brands’ various technologies as well as through talks with my podiatrist who has been looking at shoes and runners’ feet since before I was born! Which, I’m 36, so it’s probably good that I’m finally learning to listen up ;). Forgive my failing memory; I don’t remember what I ran in for my first four years on the roads, grass, and track, besides spikes for the CC and track races, of course, but I do know that I wasn’t set on a shoe until ASICS’ marketing was successful, and I jumped fully on-board running in the “top-of-the-line running model featuring ASICS plushest, most cushioned ride,” to train hard for my first year of college running. Naturally my first move away from the plush, heavy (known more now, in hindsight), highly stable Kayano was to the exact opposite in running footwear, the Vibram FiveFingers Bikila. Naturally. Not one to jump quickly into a fad, I’d been watching this barefoot trend develop for a few years, and it wasn’t until a timely word around mile fifteen from my pace-group leader in the rain-drenched 2008 Twin Cities Marathon about my (then-straining) running form, that I seriously looked into what running barefoot was all about. What I read about running form and injury prevention totally shifted my thinking, and as much as I loved what I was accustomed to, hands down I was ALL ABOUT going through the difficult process of increasing my cadence, landing below my center of gravity, and strengthening my calves and quads through the process (ow!). Despite my hesitations to “join a trend” of (possibly) inexperienced runners, the freedom of my new hard-won running style was exciting and took away my need for regular chiropractor visits for a tight low back after long runs. I still ran in my Kayano’s for longer runs and ran my fastest of (then) five marathons eight months after having my second baby. Bring on the foot pain. This sharp, nagging pain at the head of my left third metatarsal, when running at the start of my third pregnancy in 2011, brought me to my podiatrist’s office. I knew it was because of the Vibrams, and I was completely willing to have a toe surgically shaved off or whatever it took, to keep running in them…that’s what I thought the problem might be…and when better to do it than when I was already forced to run easy?! I was only pregnant and taking care of two preschoolers all day, totally makes sense, right? (Um…people say that runners are a little crazy…I have no idea why. Ok, maybe in hindsight that wasn’t the best plan!) Good thing Dr. Coffin thoroughly examined my feet and ankle flexibility in all of these directions and promptly told me that the cause of my pain was loose ligaments in my lower leg-foot structure. I couldn’t “work on it” or modify my form or do anything (like shave a toe) to keep myself running in minimalist shoes. The only fix for the pain was to go back to a traditional running shoe, and, if needed, get a custom orthotic from him to suit my foot. (I haven’t yet needed the orthotic, but I think I might be close.) 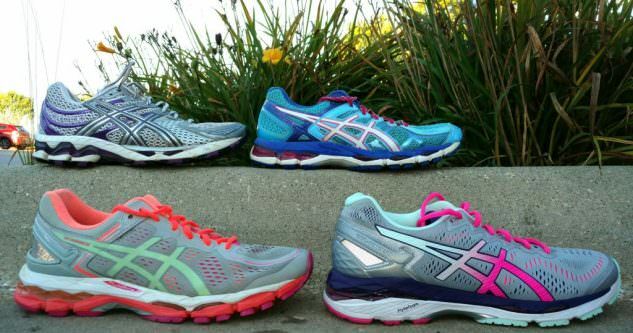 Dr. Coffin did say, however, that I didn’t need all of the features touted in the Kayano; since I like ASICS, I could try the less-expensive Nimbus and get what I needed for stability. Hmm… My half-hour appointment lasted over an hour and a half as a highly-experienced foot doctor found a readily-listening ear (on a runner with a degree in Exercise Science) to go over his experience with New York road-runners in the 70’s, to how feet work, and on into unnecessary marketing mechanisms that companies put into stability shoes. Well little did I know that I’d be returning six years later for a full interview on the subject! After that fateful appointment I happily ran in Nimbus 14 for a couple years before wanting to see if a more traditional-looking minimalist shoe would work for me. I tried a pair of Altra’s zero-drop shoes, and the pain returned on my first short run in them. I sent those back and got by on some discount-store Mizunos for a year or so before returning to the Kayano 21. 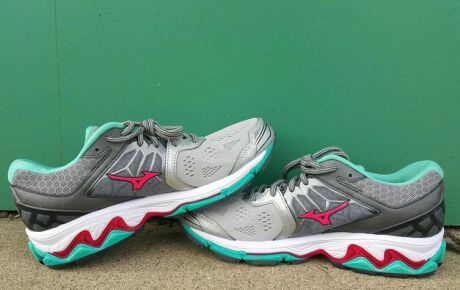 After a few-year break from the line, I was pumped and sent a short review to Women’s Running Magazine which led to my first few shoe reviews for their website. What does stability mean in 2017? 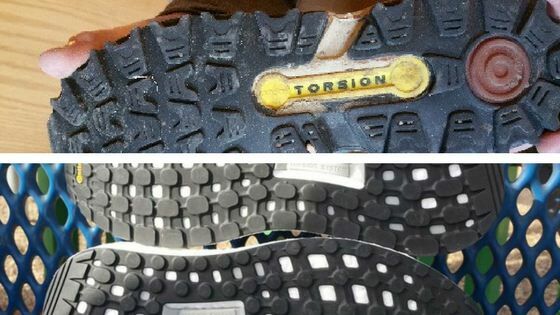 For years we knew a shoe was a stability shoe if it had an insert of harder foam (dual density post) in the medial side. Now other companies are using different approaches to stability. Do they work? How do they feel? Are they better, worse… does it make a difference at all? This past year I’ve tried stability models from ASICS, Brooks, New Balance, Adidas, HOKA, Under Armour, Mizuno, and Nike! While nowhere near an “expert,” I can tell you what I’ve learned through the process about what the brands offer for stability, while pointing you back to my previous article that details what we really need in shoes to begin with. The 1260 utilizes a traditional plastic midfoot shank in the sole unit to keep the shoe stiff where it’s supposed to be stiff (midfoot, like our own feet! ), a wide forefoot base, and a secure upper fit, altogether feeling the most stable of the bunch. This shoe structure provides excellent stability. The Supernova ST makes use of a newer technology toward stability, Guiderails, which are firm EVA strips above the midsole Boost™ cushion, that run along the medial and lateral edges and extend back toward the heel medially, along with a plastic piece in the medial heel, a plastic heel counter (around the heel in the upper), and an engineered mesh upper that stiffens up the sides of the toe box to hold the forefoot in more than the (regular) Supernova does. 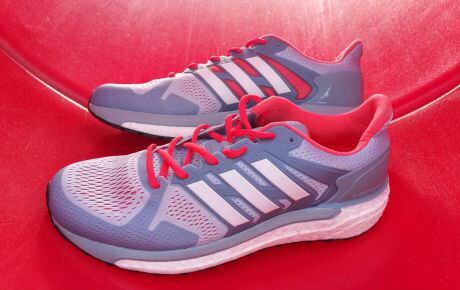 Adidas includes their time-tested TORSION® SYSTEM (a thin plastic plank in the center sole unit that minimizes twisting and keeps the midfoot from bending). 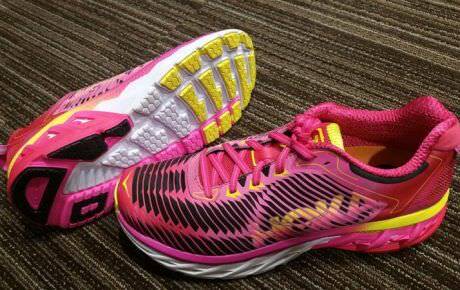 I find the guiderails to be moderately effective and the shoe overall to provide solid stability. The bulk in the medial heel is unnecessary per Dr. Coffin’s experience with natural foot motion. Here’s a look at the torsion system in an original Adidas marathon trainer from 1984-1986 (above) as compared with the 2017 Supernova ST’s (below). ASICS sticks with what has worked in the past with a plastic midfoot shank as part of their GUIDANCE TRUSSTIC SYSTEM™ technology and durable gel in the *lateral* part of the heel to absorb shock and keep the rearfoot from compressing in this high-impact location, as well as gel placed under the ball of the foot for the same reason; this gel increases ASICS’ durability over many miles. Kayano and GT-2000 also boast a very snug heel collar to hold the heel in upright position and avoid slippage. 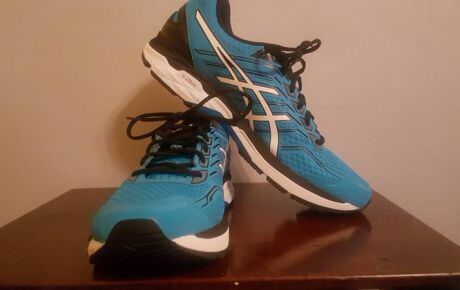 The gel is well placed to increase the durability of these shoes, but the midfoot shank is not technically necessary when the brand’s similar shoe, Gel-Nimbus, maintains a stiff midfoot without as much added bulk. The Transcend 4 excels in its use of Guiderails to control foot movement and hold the runner steady along with an excellent heel counter and stiff-fitting upper. The Guiderails wrap continuously along the sides and around the back of the shoe, keeping the Transcend stiff through the middle and holding the foot upright, to guide the lower leg/knee in the correct path. Brooks’ DNA material in their midsole stiffens under impact which provides a bit less-padded ride but increases the shoe’s durability over time. 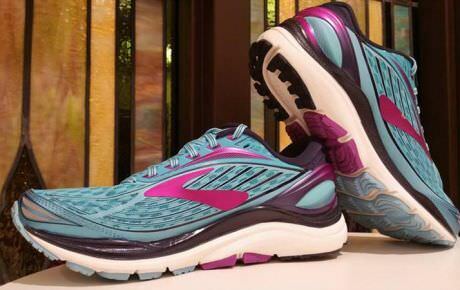 Brooks offers a highly stable shoe that is still mid-weight, in Transcend. Mizuno utilizes their Wave-plate technology in their new Wave Horizon with the plastic plate keeping the midfoot stiff up to the bend at the ball of the foot. A securely fitted upper keeps holds the foot in place. This Wave technology is another new approach that works to hold the midfoot stiff, however the softer foam will compress under the forefoot more readily, causing instability. The shallow (Kayano, GT-2000, Horizon) to mid-height (Transcend) toe boxes of these four shoes keep the foot feeling secure, and these shoes bring similar stability through newer technologies. This model controls motion and bending in the midfoot with a diagonal roll bar and small plastic shank just under the medial arch. 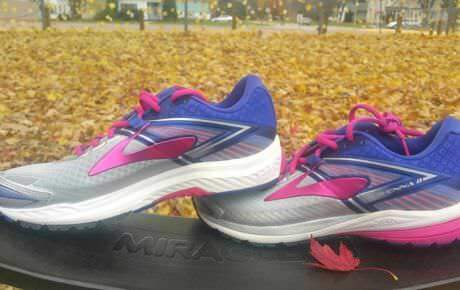 Brooks’ DNA foam in Ravenna’s midsole enhances durability by stiffening under impact to provide cushion with durability. A banked forefoot midsole counters pressure to keep your foot upright despite overpronation as you move into toe-off. 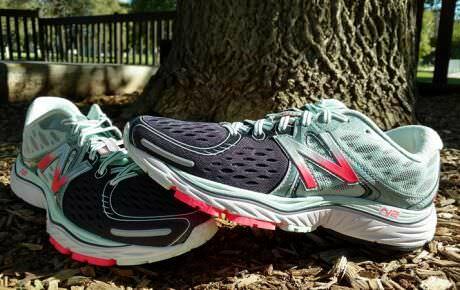 This technology works just as well as a more bulked-out midsole to bring a stable ride. Arahi’s J-frame is a new technology that increases the durability of the heel and medial aspect of the shoe over previous HOKA models. The firmer-density EVA also holds the midfoot stiff and resists wear better in the forefoot than some HOKA models, however the foam is still light and soft enough to compress laterally over repeated pounding, especially for heavier runners, which causes instability. The new Vongo approaches stability through the use of a Varus edge midsole which is especially appealing to those who need some help correctly aligning ankle bones to keep the lower leg from tilting too far inward. (The shoe can also work for those who don’t need this correction, if it feels comfortable.) The forefoot also banks outward to control excess inward tilt due to overpronation. The Fresh Foam keeps the midfoot stiff, and Vongo’s toebox is shallow and lightly structured in the first version, for support. Altogether this shoe proves that plastic and layered foams is not necessary in the midsole at all, to keep it stable. After my first run in the Vongo v2 this morning, I can tell you that the shoe is similar yet has a softer, less-structured upper. Stay tuned for the full review coming soon. Nike’s Odyssey utilizes a time-honored technique for stability with medial posting to keep the midsole from collapsing…a technology that may have outlived its usefulness since the use of the more durable EVA foam became standard in running shoes. Nonetheless, it keeps the midfoot from bending (plus! ), and the shoe offers flexible structure in a more shallow and narrow toe-box. Similar to the Odyssey, UA includes medial posting in the midsole of Europa, however it doesn’t hold the midfoot quite as stiff, making it less stable in that way. The highest points toward stability in this shoe come via a snug, precision-fit upper with its heel counter the securely holds the heel upright. 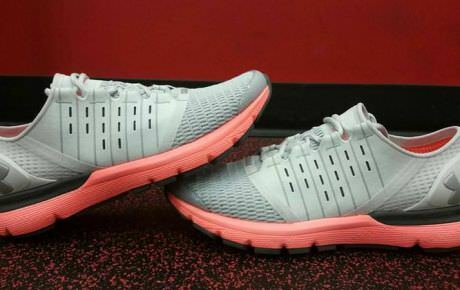 A final note on all of these technologies is that you are primarily going to have to find the shoe that is comfortable to you, fits your running style, and suits your body build. 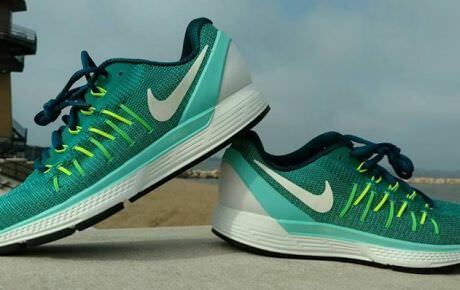 See Stability Running Shoes-Beyond the Marketing for more detailed advice about what to look for in a shoe. 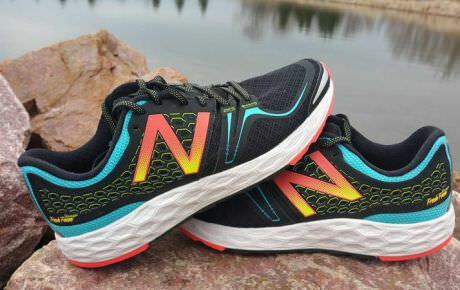 It’s exciting to see what the brands come up with in shoes, and some of it is definitely worth its weight in…plastic and blown rubber 😉 if it keeps you running injury free! However, I think it’s wise to advance along with the growing knowledge of foot motion and not hold fast to outdated methods such as a firmer medial midsole than lateral edge or excess bulk in the shoe, if the newer foam technologies can keep a shoe stiff without them. Running Races: How much would you pay for a well organized one ?